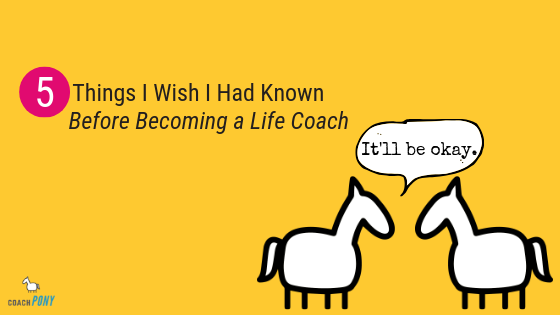 Starting a coaching business can feel kind of overwhelming, no? For instance: Are you sitting here, reading this, desperately wanting to know how to start your coaching business, but also wanting to lie down because there’s SO MUCH TO KNOW? 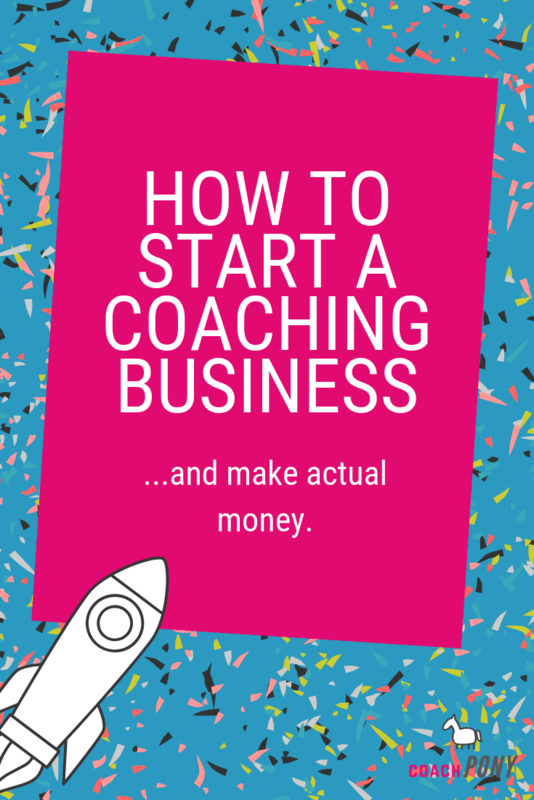 Is this the first, or 400th, article you’ve read on “How to start a coaching business” – but yet, you can’t seem to buckle down and make progress? Are you seeing ad after ad in your Facebook news feed, and you are OVER all of the “Create 6 figure coaching business overnight!” and “I’ll show you how to build a business while I stand in front of the Eiffel Tower casually” crap out there? Sit back, have another glass of wine, and let’s chat, shall we? It’s time for some brutal honesty about how to start a coaching business, and that’s always better with wine :). Here’s the thing: Starting a coaching business is hard. I know you know this, because if it wasn’t hard, you would have done it already. But actually, it’s kind of *really* hard. It’s not for the faint of heart, or for the faint of follow-through. 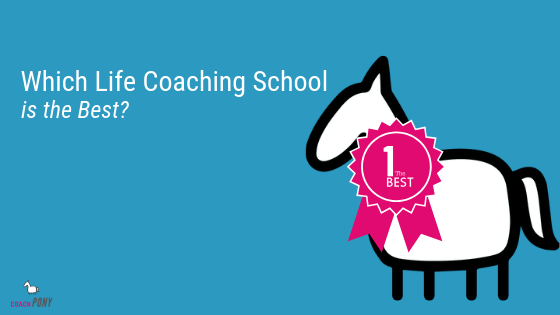 (Wondering if you have what it takes to start a coaching business? Here’s a handy quiz to tell you right away). Why am I telling you this? Because it’s important to go into it with your eyes open. It’ll be the hardest, most tiring, scariest, and most completely awesome things you ever do in your life (barring kids and family, of course! :)). But you can do it. Seriously! Did you do that? Okay. Give yourself a pat on the back. Be Jon Snow. Admit that you no nothing. I talk to people all the time who have MBA’s, or significant business experience, or are just used to being right, and they are FAILING in their new life coaching business. Because they don’t know a [REDACTED] thing about being a solo coach-entrepreneur, or how much life coaches can expect to make. Frankly, it’s a *whole different* animal than working for a company. Running millions of dollars in marketing ads in your old job does isn’t the same as having a sales conversation with a new coaching client. Or writing up your own contracts. Or planning your entire sales funnel strategy (by yourself). Nor is telling yourself that you’ll just “do some free coaching and get some clients from some complimentary sessions” because that’s what your coaching school suggested. Nor does copying what you see other coaches doing without understanding WHY they are doing it. You have to learn everything. That’s okay! You are smart, you are still reading this so I know you are committed, and you can do it. 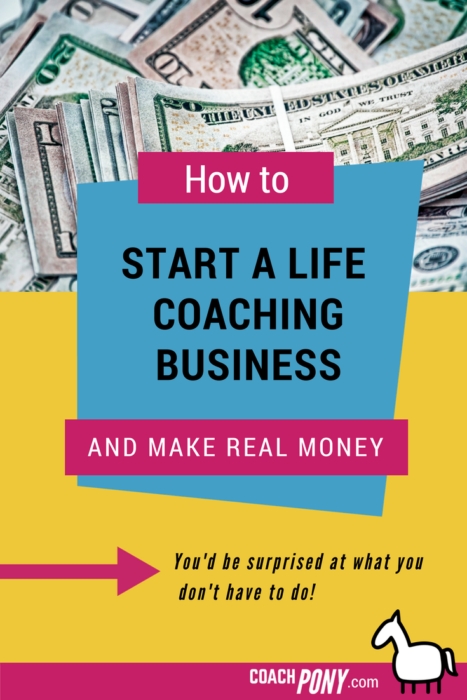 Just get some structured training specifically around running a life coaching business, and do it NOW. To help with that, here’s a fancy-pants free guide on everything you need to know fast to get your business making money. And here’s the most structured help I can offer if you like to do things quickly and well. Don’t lie to yourself, or waste time flopping around like a fish on dry land. Or even worse, not make an investment in yourself that you expect your clients to happily make in you. Get the help you need. Do this thing right. It’s worth it. Recognize that you can’t help everyone. You HAVE TO CHOOSE. I teach people how to do this all the time, and yet some of my students still ignore my advice which makes me sigh, because I know they set themselves up for a much more difficult journey. So back to being Jon Snow. Listen to your elders ;). But in all seriousness, you can’t help everyone. You actually don’t even want to help everyone if you are brutally honest with yourself. Do you want to help the teenager struggling with homework, the baby boomer trying to be happy in retirement, and the couple going through a tough divorce? (You might not want to help any of these people in fact, and that’s okay too!). You have someone in mind that you truly want to help – so help that person. It not only makes you a better coach because you are energized by the work, it will also be the difference between surviving and failing in your business. How much did you want to walk away from me right now? (It’s okay if the answer was “a LOT. Geez”). It felt better because I choose who I was going to help, and because of that I sound credible since I’m focused only on them. Notice we haven’t covered setting up a website, or building a marketing plan, or anything related to social media and branding? That’s because it all depends on who you choose. So choose. It’s not Sophie’s choice! You can change your mind if you don’t like your first few clients. You can evolve. Your work and effort won’t be wasted. But your time and effort will go to waste if you insist on not choosing, and trying to help everyone. Here’s a super easy exercise to get you thinking. Now, think about who you want to help. A man? A woman? A young professional? A mom? Write down whoever comes to mind. Okay, focus in on that one person. Give them a name. Sally. Ted. Apple. It doesn’t matter. Giving them a name will help you see them more clearly. Think about Apple for a moment, what problem do you want to help her solve? This is the core of how you make money as a coach, you help someone solve a specific problem. Write it down. Do you want to help Apple lose weight? Find love? Get promoted? Get divorced? If you are still struggling take a walk and then come back to this later. It can take time, and you know what? That’s totally okay! Now, ready for the best bit? Write it out: I help busy moms (Apple), lose the baby weight (goal). YAY!!! You’ve just chosen your niche :). People buy results, not vague platitudes. Start by talking like a normal person. Then, figure out what people really want, and use your coaching chops, life experience, and other expertise to help create a system that will get them RESULTS. I’m going to pay you to help me solve a problem in my life and reach a goal that’s really REALLY important to me. And I’d like to see that you have a logic or path forward for me, so I feel like coaching is concrete, and not airy-fairy. You can’t guarantee exact results, that’s not ethical. However, if you are a good coach you will help you client make tremendous progress. So design a high-level process to help your people, then write it down and show it to prospective clients. Put it on your website so they can see how it works (i.e., “We start here, then we do this specific thing because it will help you in this way, then we do this next thing, because it’ll move you forward in this other way…”). Tell them what success can look like when they complete your system, and remind them that they have to do the work if they want to make progress, you cannot do the work for them. And then go all-in to help them. (Here’s a super helpful article on why people pay for coaching and how to talk about what you do). You have the tools and skills, you are a great coach! Remember that you are running a business, not starting a hobby. Coach in packages – so clients commit to the process and you eliminate extra admin and overhead. It’s good for your business and outstanding for your client progress. Use tools like these to help maximize your time and effort when you first start out. Keep the big picture in mind. How are you getting clients? What do they want? How can you speak their language and educate them on why coaching is going to help them specifically? Make capital investments that are tied to bringing in money, starting with investing in your own learning around how to build the right business systems. Where do you need the most help? Be honest and then go and get the help you need! Before you listen to someone’s advice, make sure they really do know what they are doing, and have built the kind of life coaching business that you want. There are plenty of coaches who make way less than you think, but are advising you on how run your business. This is *not* awesome. Do your research, find coaches who inspire you, and follow them and HIRE THEM. You should make your money back and then some. (Note: Here’s some intel on how to find them and what to ask when you do to get some free advice). I do not pretend to know everything, but I’ve reached millions of people, been named a Forbes Top 100, and have served thousands of paying clients. I share this not to sound like a tool (ugh), but to emphasize that it’s important to know what your mentors have done in their business before you trust them. And if you don’t like me, that’s fine! Find someone you do like and learn from them. This is how you make progress, and don’t lose motivation or get unfocused. Keep reading for the next step! I know it’s exciting to get caught up in logo design and admin, and important-but-less fun to worry about your business incorporation and legal matters. But don’t waste time on that stuff in the beginning, until you have proven your business and you are sure about who you want to coach. You can take payment by check or paypal in the beginning of your business, and you don’t have to worry about a fancy website or logo until you have taken a few paying clients and you are 100% sure that THIS is who you want to help. Plenty of coaches get overwhelmed by the admin without ever getting a chance to determine if they are in the right niche, or if they even really want to be a full-time coach entrepreneur. And the truth is, no one ever hires you because of your awesome logo. They hire you because of your awesome YOU. So, save yourself the heartache! Test everything out and only then worry about the admin details. 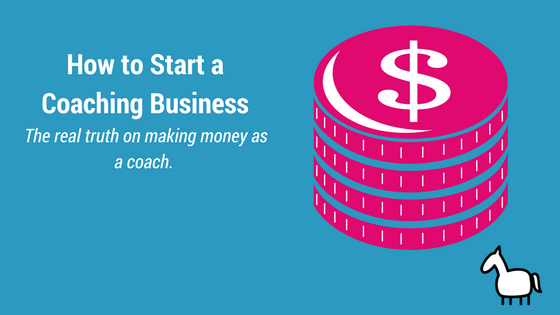 Worried about how much money you’ll make, or if there’s even room for you as a new coach in this industry? So many life coaches fail. Don’t be one of them! Instead, take yourself over to this fancy-pants free article so you can learn why new life coaches fail, and what to do so that you DON’T. You’ll also get some hard data on why there’s room for you to coach + you’ll learn what you can expect to make, so you’ll feel 100% better about your chances! —->Go here to see it – it’s worth a click! Don’t get caught up in logos, and websites, taxes and tech, so much so that you get overwhelmed and then fall onto your fainting couch. Get your fundamentals RIGHT first. Who do you serve? Why do you serve them? What do they want (and are willing to buy, sometimes these are different things), and how will you help them achieve those results? Do you even like running a business? Spend your time there first, and the rest will become so much easier. Logos don’t matter if you don’t know you serve. Same for your website URL, your branding, and your business status. No problem! 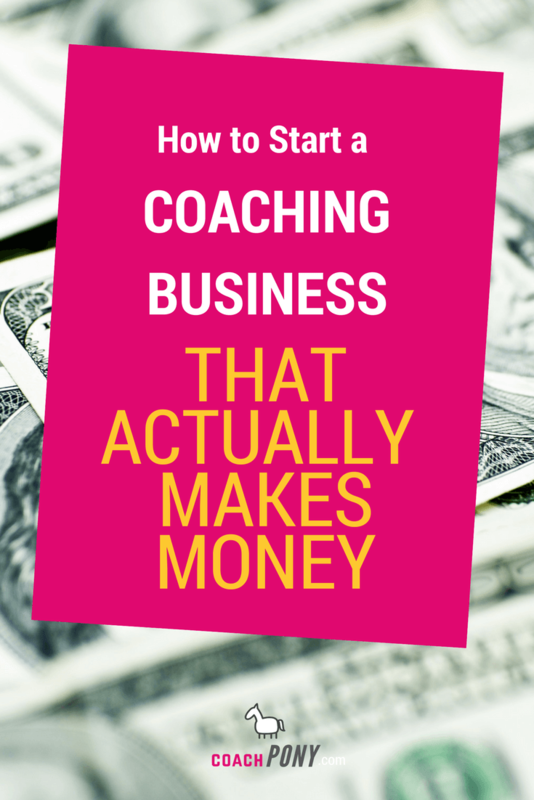 Grab our fancy-pants insanely practical 26 page free guide on how to *actually* make money as a new coach right here. And please, for the love of chocolate, do yourself a favor and read this article on why people don’t pay for life coaching. It will change your life! (It’s long, so keep clicking to see all of it). This entry was posted in Coaching Lessons, Inspiration on February 14, 2018 by Christie.